Made since 1914, Bredemeijer Teapots are amongst the very best in the world. And naturally, the Cosy Manto is no exception. 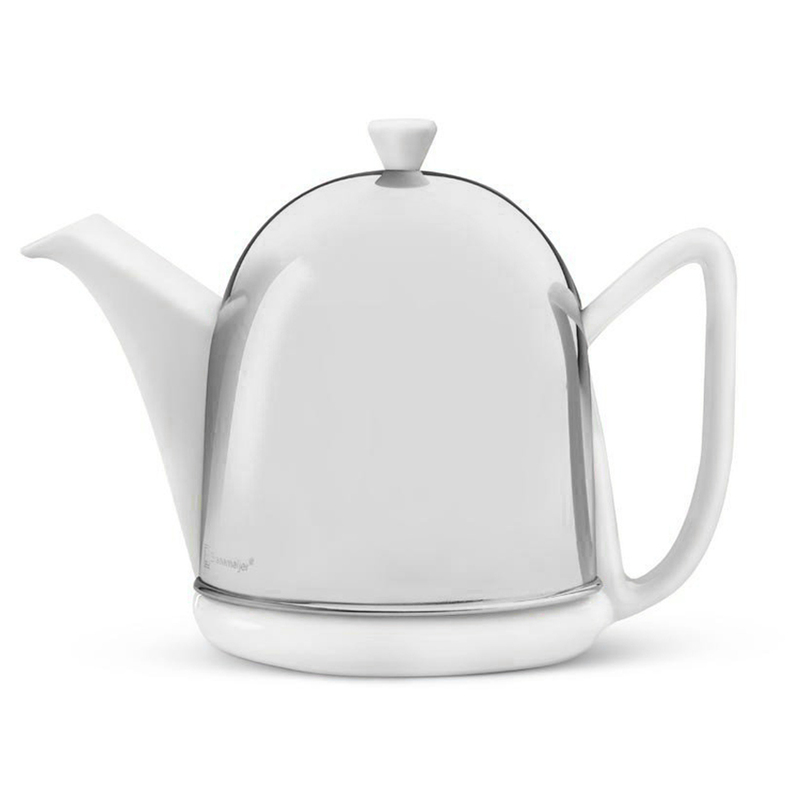 Introducing Bredemeijer’s Cosy Manto Teapot – the only teapot that comes with its own cute little helmet. No, it’s not just in case it crashes its bike. Teapots don't ride bikes, silly! The Cosy Manto’s adorable stainless steel helmet is there to help keep your tea nice and warm for longer than ever...because we all like to keep warm and cosy, right? The Cosy Manto Teapot will keep your tea at a drinkable temperature for up to one hour. Which is great news for tea lovers who love to enjoy their favourite drink at their own pace! Take a peek beneath the Cosy Manto’s hard, stainless steel shell - go on, don't be afraid! - and you’ll discover another secret: it's made from smooth, shiny porcelain. It's so simple, and yet so lovely. The quality of these teapots speaks for itself. The Cosy Manto Teapot - it’s just what you’ll need for a cosy teatime! Crafted from polished white porcelain. The Cosy Manto’s ‘jacket’ is crafted from top quality stainless steel which insulates your tea and keeps it at a drinkable temperature for up to an hour. The mirror finish stainless steel cover has a felt lining on the inside, so it doesn’t scratch the shiny porcelain underneath. Inside is a stainless steel tea strainer. Stainless steel cover should be cleaned with a damp cloth only, due to its felt lining. Presented in a Bredemeijer box.